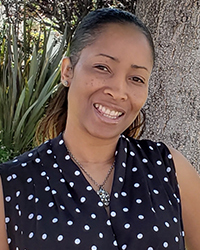 Lona is a BPO Specialist and has been a licensed Realtor for over 10 years serving the counties of Los Angeles (including Santa Clarita), Riverside, and San Bernardino. Her primary focus is residential real estate including, single family residences, condominiums/townhouses, and multi-family units. Lona is dedicated to pairing each client with a home that will match their needs and desires. She contributes to the growth of Elite Premier Properties through her ambition and dedication in property valuation, marketing and sales negotiations.